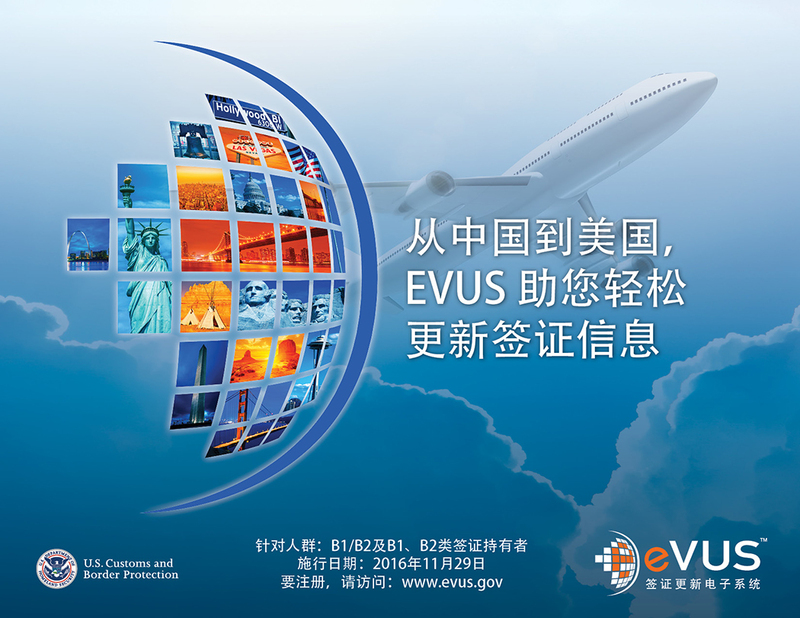 On November 29, 2016, CBP launched the Electronic Visa Update System, EVUS, in an effort to simplify the process of updating Visa information for Chinese nationals with a 10 year, B1/B2 Visa. Elevation is proud to have assisted CBP in the development of all of its Brand, Marketing and Creative materials, including Strategic Comms Plan, Program Logo, Print Ads, Digital Assets, Launch Promotional Video and all Conference Support materials including Booth Design and Development and Program Brochures. Elevation looks forward to continuing its partnership with CBP’s Office of Field Operations on future outreach endeavors.